Everything in life is relative. Our everyday routine of the school run, rushing to work, schlepping our little geniuses to afternoon enrichment activities, supervising homework, doing housework, and trying to find a moment for ourselves, can be exhausting . . . until the unstructured chaos of vacation time with endless hours to fill and cries of "I'm bored" reminds us how routine relieves us from having to make endless decisions. 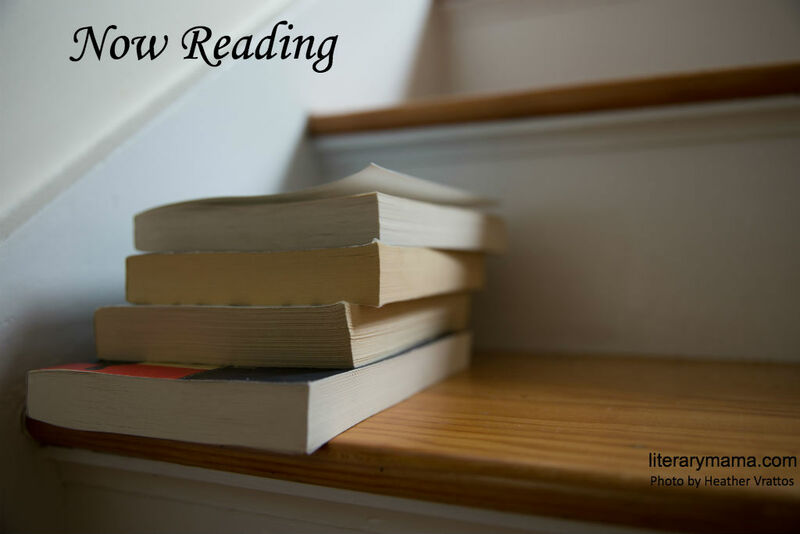 Here are a few reading recommendations from our staff to make deciding what to read this month a little less burdensome. Duke University Professor, Dan Ariely, would agree that we rely on, and take comfort from, behavior which requires little actual thinking. 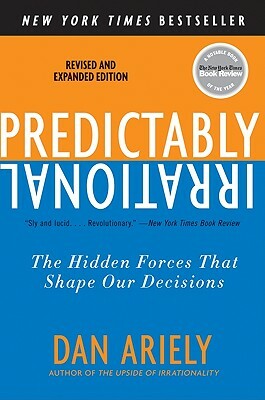 His book, Predictably Irrational: The Hidden Forces That Shape Our Decisions, examines how we react to the pull of our "decision illusions" over rational logic. Citing entertaining examples from his and other social scientists' experiments—such as how we use comparison to choose what to buy and who to date, and how "FREE" distracts us from true value—Ariely's highly readable book is an eye-opener into how we fall into marketing traps (yes, those 2+1 offers really do tempt us, and watch out for the "decoy" product). But more than just our purchasing pitfalls, Ariely has revelations about social norms, workplace behavior, self-control, and the power of expectations. I found the book illuminating and thought-provoking, realizing that I fall, more often than not, into the lure of special offers, social norms, and stereotypes, to ease the burden of working it all out for myself. Quoting Socrates who said "The unexamined life is not worth living," Ariely encourages us to examine our default choices, and start asking ourselves some uncomfortable questions to improve the rationality of our decision making. "What makes a woman a woman? Is it having breasts and painted finger nails? Or perhaps it’s a particular hormone in our blood? Or maybe it’s the assignment of 'female' based on a baby’s genitalia?" 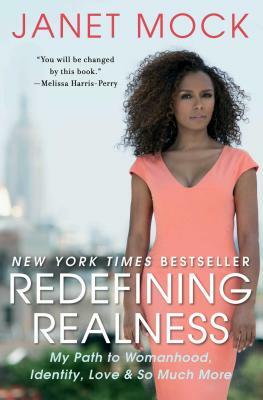 Senior Editor and Creative Nonfiction Editor, Amanda Jaros, recently read, and was deeply moved by, Janet Mock’s Redefining Realness. "Mock shares her vastly personal and profound journey from her childhood assignment as a boy, to coming into her own as a woman. Mock was lucky to have found a transgender friend early in her teen years to share her experience with, and to also have a kind doctor who helped her with her first hormone doses. Despite those positives, Mock’s story is overwhelmingly one of a low-income person of color, who lived through sexual abuse, parental neglect and instability, and peer bullying before finding her way to prostitution as a means of earning money. Everyone faces some challenges when growing into their identity, but Mock had to fight at every turn to be able to live her life authentically, largely because of society’s general failure to accept transgender people. Mock quotes Simone de Beauvoir who said, 'One is not born, but rather, becomes a woman.' She then writes, 'Becoming is the action that births our womanhood, rather than the passive act of being born (an act none of us has a choice in). This short, powerful statement assured me that I have the freedom, in spite of and because of, my birth, body, race, gender expectations, and economic resources, to define myself for myself and for others.' Throughout reading this book I kept asking myself what makes a woman a woman? The answer that Mock courageously declares, and one that makes the most sense to me, is that it’s how a woman feels and sees herself from the inside that truly matters." Kim Ruff, Creative Nonfiction and Fiction Editorial Assistant, writes "I am a huge fan of flash nonfiction, especially when individual pieces come together to pack a punch by telling a whole story. This is exactly what Marion Winik does with her collection of 51 flash nonfiction pieces in The Glen Rock Book of the Dead. I have to admit, this is one of the few books always present on my 'Currently Reading' shelf. The first time I read this book, it was in a single sitting, and since then I have enjoyed revisiting each piece, or person if you will, at a much slower pace, to fully appreciate Winik's mix of quick wit, honesty, and sadness. Everything about this 128-page book captivated me: from its petite-sized, glossy hardcover with an attention-grabbing title, to the epigraph from Charles Siebert—about mourning and burial rituals of elephants, to the nickname-style titles Winik gives each piece, and, finally, to the unique way in which Winik provides readers with a glimpse into her life based on people she has known and are now deceased. 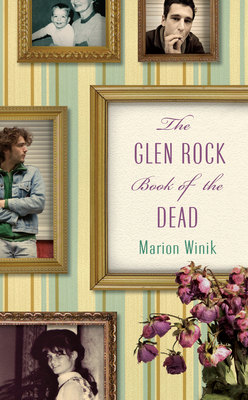 Winik has written each of these 250-word (or less) eulogy-like pieces to stand alone, but her clever arrangement of each one provides a natural progression and, in the end, she tells a full, non-morbid story—a sort of memoir inspired by the dead. Winik states, 'Writing this book has been a chance to hang out with my friends.' I feel that sentiment is something all readers can relate to, and is what draws me in time and time again. Who wouldn't give for just one more conversation with the people we have loved and lost?" 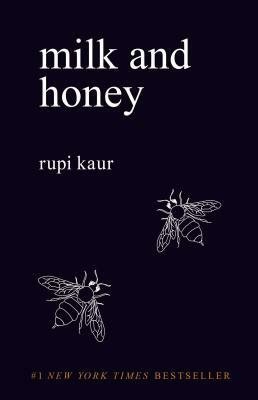 Finally, Devin Pope, Newsletter Editor, says "Hurting, loving, breaking, and healing are the four central themes (and chapters) in Rupi Kaur’s book of poetry, Milk and Honey. Some poems are as short as six words, and some read as mini-essays, but they all cut right to the heart. I’ve followed Kaur on Instagram for a long time, and enjoy her posts—short, pithy poems about life—showing up in my feed. Reading her whole book was a richer, deeper experience, and I’m glad I picked it up. There’s no shying away from uncomfortable matter in Milk and Honey. Kaur dives headlong into her history of pain and love, and the result is beautiful." So have you found time this summer to catch up on any good books? Fill us in by leaving a recommendation in the comments, or tweet us @LiteraryMama. You can also follow us on Instagram @Literary_Mama and Goodreads for more recommendations.